Slater logged 11 special teams tackles in 2018. Analysis: Though listed as a wide receiver, the 33-year-old hasn't caught a pass since the 2011 campaign. Slater earns his keep as a core special teamer, a role he's slated to reprise next season, given that he's signed through 2019. Slater (illness) is active for Sunday's matchup with the Titans. Analysis: Slater was a late addition to the injury report after coming down with an illness over the weekend. He doesn't have a large role on the offense so his illness shouldn't impact the team much, even if he is slightly limited during the game. Slater is listed as questionable for Sunday's game against the Titans with an illness. Analysis: Slater likely fell ill at some point Saturday or early Sunday, as he wasn't included on New England's injury report throughout the week. The late addition isn't the most encouraging sign for his availability, but the Patriots will see how he progresses in the next few hours before determining his status for the 1 p.m. EST kickoff. Though listed as a receiver on the roster, Slater rarely sees snaps on offense and instead makes his biggest impact on the Patriots' special-teams units. Slater (undisclosed) isn't expected to play in Thursday's preseason game against the Eagles, Mike Reiss of ESPN.com reports. Analysis: Although Slater's is generously labeled as a wide receiver, he's mainly used as a returner and special teams gunner. The 32-year-old is entering his 11th season with the Patriots, but he hasn't hauled in a pass since the 2011 season. He's off the PUP list now, though, so expect him to return to action soon. Slater (undisclosed) has passed his physical, per NFL Communications, and has been activated from the PUP list, Doug Kyed of NESN.com reports. Analysis: Slater should resume his pursuit of a roster spot as a depth wideout and a special teams contributor after a delayed start to camp due to an undisclosed injury. The veteran has just one reception over the course of his extensive career, so it's safe to assume he won't be a viable option in almost all leagues. Slater was spotted at Thursday's practice in a uniform and pads, suggesting his activation from the PUP list is imminent, Doug Kyed of NESN.com reports. Analysis: Slater began camp relegated to the sidelines with an undisclosed injury, but that shouldn't greatly affect his role given that he's been in the same organization his entire career. He hasn't caught a pass since the 2011 campaign, but played 125 snaps on special teams over nine games in 2017 before signing a two-year extension this offseason. Slater was placed on the Patriots' Physically Unable to Perform list Wednesday due to an undisclosed injury, Field Yates of ESPN reports. Analysis: The special teams ace will have a delayed start to his preparations for the 2018 season as he recovers from the injury. Slater signed a two-year extension with the Patriots this offseason and has spent his entire career in New England. 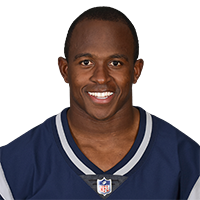 Slater has signed a two-year deal to remain with the Patriots, Mike Reiss of ESPN.com reports. Analysis: The 32-year-old rarely contributes on offense, but the 2008 fifth-rounder has been a mainstay on special teams for the Patriots since then and that's a role Slater will reprise in 2018. Slater (hamstring) is officially active for Monday night's game against the Dolphins. Analysis: Slater returns after a three-week absence from the hamstring injury he sustained against the Broncos in Week 10. 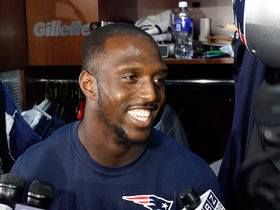 The 32-year-old should return to his role as a special teams ace for the Patriots. 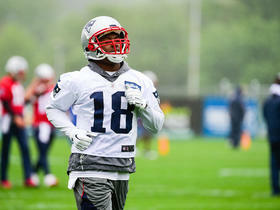 Slater (hamstring) is listed as questionable for Monday's game against the Dolphins, Doug Kyed of NESN.com reports. Analysis: Slater was a limited participant in practice this week to earn the questionable designation. The 31-year-old has missed three consecutive games but will hope to return to his role as special teams ace for the Patriots against the Dolphins. Slater (hamstring) was a limited participant during Thursday's practice. Analysis: Slater has kicked off Week 14 preparations with a pair of limited practices, but he may need to put in a full session Friday in order to avoid an injury tag heading into Monday's game against the Dolphins. If active Monday, Slater, who has missed the team's last three contests, would see the majority of his snaps on special teams. Slater (hamstring) is inactive for Sunday's tilt against Miami. Analysis: Slater was limited in practice for the second week in a row and will miss his third straight contest. Slater's absence shouldn't have much impact on the offense. Slater (hamstring) is inactive for Sunday's matchup with the Dolphins. Analysis: Slater was limited in practice throughout the week and was considered a toss up heading into Sunday. His absence shouldn't impact the offense greatly, as Slater plays mainly special teams. The Patriots have deemed Slater (hamstring) as questionable for their matchup versus the Dolphins on Sunday. Analysis: Slater was limited in practice all week and is trending toward a true game-time decision Sunday. The veteran missed last week's game versus the Raiders. His presence is mainly felt on special teams, so the Patriots' offense is not expected to be affected should he remain sidelined. Slater (hamstring) was officially ruled out for Sunday's game against the Raiders. Analysis: Slater sustained the injury in last Sunday's win over the Broncos and was unable to practice this week. The 32-year-old has battled hamstring issues for much of the season and the Patriots will miss his presence on special teams. Slater (hamstring) isn't expected to play Sunday against the Raiders, Mike Reiss of ESPN.com reports. Slater (hamstring) has been ruled out for the remainder of Sunday's game in Denver. Analysis: Slater went down in the first half. It's difficult to speculate on his availability for next week's matchup with the Raiders since the nature of his hamstring injury remains behind closed doors. Slater injured his hamstring Sunday in Denver and his return is doubtful, Doug Kyed of NESN.com reports. Analysis: The Patriots will miss Slater primarily on special teams, as the UCLA product is barely involved in the offense on a weekly basis. 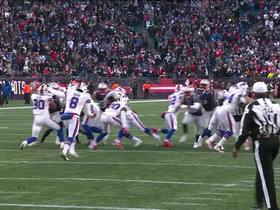 New England Patriots special teams member Matthew Slater blocks the Buffalo Bills punt. 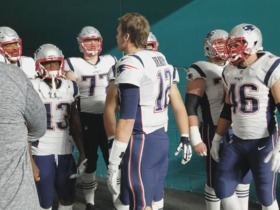 New England Patriots quarterback Tom Brady leads his team out of the tunnel before they play the Miami Dolphins on Monday Night Football. NFL Network's James Palmer brings the lastest on Patriots wide receiver Matthew Slater's injury. 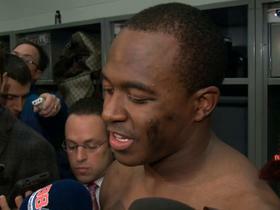 New England Patriots wide receiver Matthew Slater comments on quarterback Tom Brady. New England Patriots wide receiver Matthew Slater fumbles on the kickoff and the Baltimore Ravens recover the fumble. 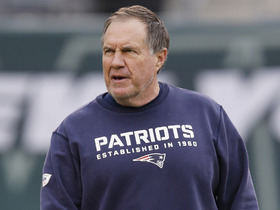 NFL Media's Brian Billick joins "Around the NFL" to share his thoughts on New England Patriots head coach Bill Belichick's decisions to kick off in overtime that eventually led to a 26-20 victory for the New York Jets. 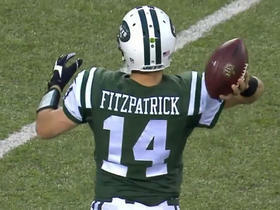 The "Around the NFL" crew recap the New York Jets 26-20 OT victory over the New England Patriots in Week 16. 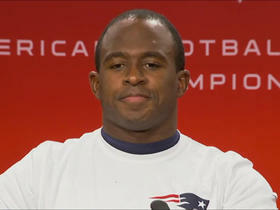 Matthew Slater addresses the Patriots' overtime coin toss decision to kick off. 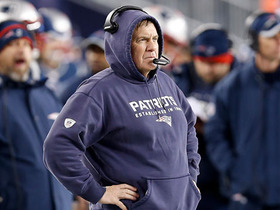 NFL Media's Kimberly Jones reports on the New England Patriots players' reactions to the ESPN report regarding "Spygate" and how they are remaining focused on their upcoming game against the Pittsburgh Steelers. NFL Media's Randy Moss talks about what he heard in the New England Patriots' locker room on Thursday regarding the deflated footballs from the AFC Championship game.